The Sabo Center is excited to announce that Augsburg University will be hosting the sixth annual Place-Based Justice Network Summer Institute in July 2019. The three day gathering is an essential learning and networking opportunity for the Place-Based Justice Network, a group of twenty member institutions that are committed to transforming higher education and our communities by deconstructing systems of oppression through place-based community engagement with a racial justice lens. Place-based community engagement is a focused approach to university community engagement that emphasizes long-term, university-wide engagement in community partnerships in a clearly defined geographic area, and focuses equally on campus and community impact. Engaging with stakeholders from across the university and neighborhood community, a place-based approach aims to enact real and meaningful social change through partnership and co-creative work. The Summer Institute will consist of plenary lectures and workshops, keynote speakers, site visits to organizations connected to Augsburg, and opportunities to learn from practitioners of place-based community engagement from across the country. Breakout session proposals are due Monday, May 13th, 2019 at 5pm PST. Get to know the Sabo Center! In each Staff Feature installment, we ask members of the Sabo Center staff to share about what they do, along with some fun facts. What do you do at the Sabo Center? 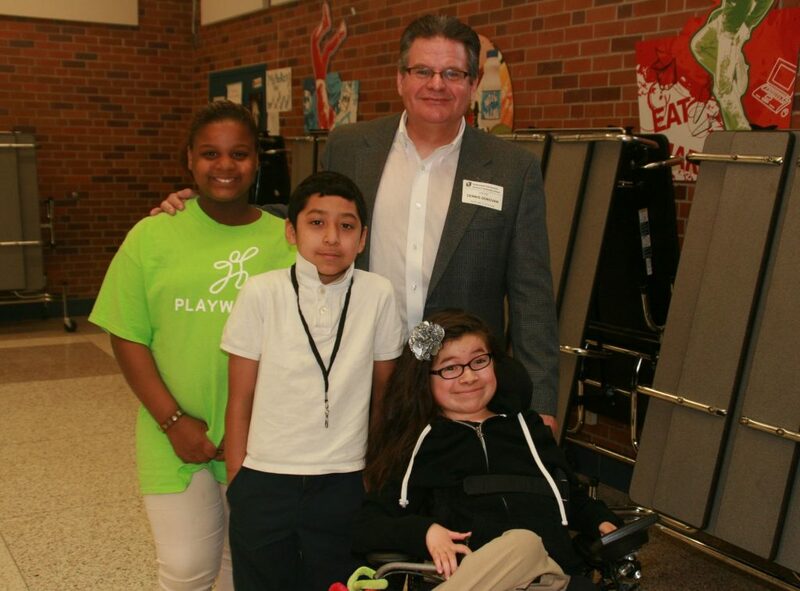 My work involves connecting Augsburg to the community by building strong relationships that support positive opportunities for engagement around issues that are important to our neighbors. What’s one social issue that is most important to you right now? What’s your favorite place on Augsburg’s campus? If you could recommend one book, movie, or podcast, what would it be and why? The Moth podcast because personal stories are such a powerful way for people to connect and to find common ground. What’s the coolest thing you working on right now? A shared recreation and wellness facility on the east end of campus. Name one spot in the Twin Cities that you would consider a “must-see”? Have any last facts/favorite quotes/advice/etc. that you would like to share? The Sabo Center is convening the Undoing White Body Supremacy Pilot Project in partnership with Augsburg’s Equity and Inclusion Initiatives. This pilot is a cohort of white faculty and staff learning to undo the ways white supremacy shows up in our bodies, not just in our minds. Selected applicants will meet and learn together throughout the 2019-2020 academic year. This is body-based racial justice work, informed by Somatic Experiencing® and Interpersonal Neurobiology. Applicants should be open to both intellectual development and also to the opportunity for tracking the body’s physical responses to racialized experiences. Applications are due by 5:00 p.m on Monday, May 13, 2019. All applicants will be notified by Friday, May 17, 2019. Contact Rachel Svanoe or Allyson Green with questions about this opportunity. Racism has been foundational to the United States, and the patterns and implicit beliefs that sustain racism are baked into our culture, political systems, and ways of engaging with one another. Changing the narratives that rationalize racist systems is necessary, and there is much to be learned (and unlearned) through education. Many of us at Augsburg are doing exactly that through the Diversity and Inclusion Certificate and other learning opportunities. However, as long as there exists a gap between our intellectual commitments and the impact of our action, something we’ve heard from students time and time again, intellectual work alone is insufficient. The Sabo Center for Democracy and Citizenship, in partnership with Equity and Inclusion Initiatives, seek to complement current racial justice efforts on campus by creating a deliberate space for white faculty and staff members to address white body supremacy in ourselves, our classrooms, and our community. This is a nine-month program that begins in September 2019 with a series of three foundational training sessions specifically designed for white identified staff and faculty members. Following the foundational workshops, we will convene seven monthly cohort practice sessions (November – May) for a cohort of 21 people (14 faculty members and 7 staff) to deepen this learning. This is not an all-white group making plans for racial justice work on campus without our colleagues of color or group therapy for assuaging white guilt, but rather an intentional space for strengthening skills and deepening accountability for undoing white body supremacy. This cohort model is being developed in direct conversation with the work of Resmaa Menakem MSW, LICSW, SEP (“My Grandmother’s Hands: Racialized Trauma and the Pathway to Mending Our Hearts and Bodies”) and Rachel Martin M.S., LAMFT. Sabo Center staff members Rachel Svanoe and Allyson Green are participating in ongoing communities of practice with Resmaa and Rachel to develop their capacity to facilitate this work at Augsburg. While colleagues of color have power, agency, and essential roles to play in racial justice work, the intention of this pilot is to focus in on the part that white bodies need to play, and the dynamics of whiteness which too often evade the spotlight. White bodies, because of our conditioning, tend to lack the capacity for holding discomfort in racialized experiences and, in multi-racial settings, we tend to lean heavily on colleagues of color to ease tension, soothe our anxieties and make things feel okay again. This can be wounding and exhausting for colleagues of color, and it inhibits the development of individual and collective capacity among white bodies to hold our own (and each other’s) discomfort and move through it together. We will build culture, community, and capacity among white bodies to show up more fully to the work of dismantling white body supremacy and creating a more just world. If you wish to discuss this choice further, we welcome conversation. ***Cohort members will commit to attending all ten sessions when they apply. The first three foundation workshops will also be open to other white colleagues at Augsburg. Shared language and practices for staying engaged through moments of racialized stress and discomfort, creating a container for the institutional evolution that is underway. Increased capacity to 1) understand racism and its impact, 2) address racism when it happens, and 3) cause less harm to students and colleagues of color, responding to their call for us to do our work. Greater collective capacity among white colleagues for undoing white supremacy in our institution, decreasing the burden carried by colleagues and students of color, creating more space for them to be and to lead. In My Grandmother’s Hands: Racialized Trauma and the Pathway to Mending Our Hearts and Bodies, local trauma specialist, trainer, and author Resmaa Menakem writes, “only a small fraction of white supremacy lives in our conscious mind.” Much of the patterns and reflexes that sustain racism are unconscious and manifest in our bodies. This manifestation informs the term white body supremacy and calls for racial justice work to include a focus on the body, not just the intellect. Each of us who has been shaped by life in the United States carries in our bodies wordless stories about who and what threatens our safety, along with reflexive responses to protect us from those threats. These protective responses to threats (to our physical safety but also to what we do, believe, and care about) are for our survival and yet, our nervous systems cannot differentiate between threats that are real and those that are perceived. Because of our history and socialization, white bodies’ nervous systems predictably mobilize to protect us in the very presence of a black or brown body and even to the mention or thought of race. In these moments, whether we intend it or not, our nervous systems often go into fight, flight, freeze or collapse, taking us out of social engagement, causing harm and impairing us in the face of each others’ racism. As long as our nervous systems experience the mere awareness of race as a threat, they will predictably respond to protect us from experiencing our racial reality and thus, leave us with very little capacity for tolerating the discomfort of race and racism, keeping us from the work that we need to do. If we lack awareness of these nervous system patterns and practices for staying engaged and moving through them, we will continue to look to black and indigenous people and people of color (BIPOC) to soothe our racialized stress, and shoulder the burden of dismantling racism. Fortunately, our bodies also have tremendous capacity for awareness, connection, and resiliency, and this is what we aim to cultivate through this effort. In this work, we learn to notice the physical sensations that accompany nervous system responses and develop practices for staying present and connected as they occur. For example, when we begin to notice a racing heartbeat, constriction in our chests, shallow breathing and a narrowing focus, before following our gut reaction, we can practice looking around and expanding our focus to the space that we’re in, moving our bodies in ways that ground us and making eye contact with a familiar face for support. As we learn to experience nervous system energy for what it is, simply our bodies trying to protect us from real or perceived threats, we learn to recognize when our bodies’ reactions match reality and when they are responding out of unhelpful conditioning. Against a backdrop of often-paralyzing white guilt and shame, we can learn to separate feeling bad when we continue to cause harm from thinking we are bad. As white colleagues develop greater collective capacity to lean into the discomfort of racialized experiences and the resilience to bounce back from our own stress responses, we will be better equipped to walk through the transformation that our community and institution are beginning to undergo. White colleagues can develop the capacity to hold our own and each other’s discomfort, seeking less comfort from colleagues of color and creating more space for them to work, influence, lead and be. Not only that, but we experience more authentic relationships, greater ability to take imperfect action, and the resiliency to seek repair and move forward. As the National Organizer for Public Achievement I teach co-creative politics skills to people of all ages in the Twin Cities, across the US, and world who want to make positive change in their communities. I help regions implement Public Achievement. The current region that I am working with to implement Public Achievement, is Eau Claire Wisconsin. Christensen Center Coffee Shop area. Stoking the Fire of Democracy by Stephen Noble Smith. This is the best book about community organizing. Full of stories and skills. Hang out with family, friends, and perform music. Istanbul, Turkey. Ask me why! Tony Bennett – he reinvented music. Be a risk taker and be not afraid to make mistakes. 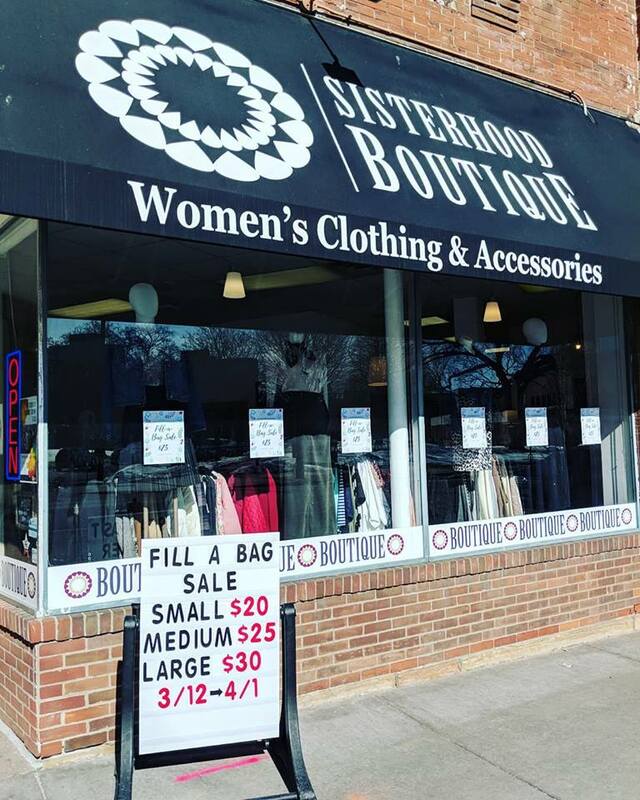 Sisterhood Boutique is a small thrift store with a big heart. 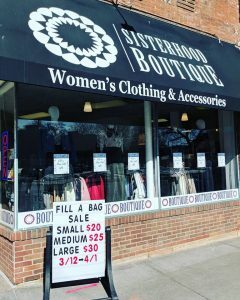 Located across the street from the Augsburg University campus, the Sisterhood Boutique stands as a symbol of empowerment for women. Started by young women who lived in Cedar-Riverside, the Sisterhood is described by shoppers as the “hidden gem” of the West Bank neighborhood. Donated clothing and jewelry is sold in a polished retail space, with all sales go towards a leadership program designed to help young women prepare for a career. The program includes various paid internships at the boutique where interns learn the skill sets necessary to run a business and become an entrepreneur. Augsburg students in the Sabo Center’s LEAD Fellows program have also worked at the Sisterhood. One of the main events at the Sisterhood Boutique is their annual pop up fashion show. It is a collaborative, student-run event. Augsburg students, along with students from the U of M and St. Kate’s come together to coordinate the venue, models, and decorations, and to design the outfits. In the past, all items at the show were donated or altered by a fashion class at St. Kate’s. This year’s fashion show is coming up soon on Tuesday, March 5th, 2019, at the Augsburg University Hoverstan Chapel, located in Foss Center. Doors open at 6, and the show begins at 7. Everyone is welcome, and the event is free of charge. Attendees are encouraged to bring along gently used clothing items to donate to the Sisterhood! 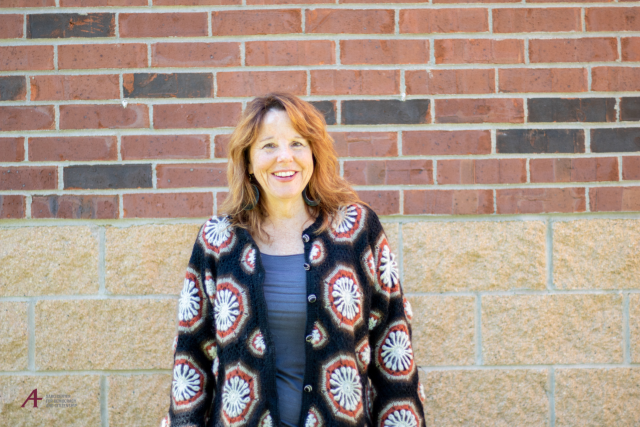 This post features Mary Laurel True, Director of Community Engagement. My work is to connect students, faculty, staff and alumni to the community around Augsburg & connect the Augsburg community to the community around us outside of our campus. 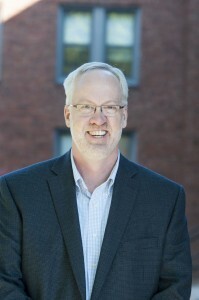 During the week of January 9, 2019, National Organizer for Public Achievement, Dennis Donovan, worked with faculty, students, and staff at Colorado College. Eleven students were enrolled in the Youth Empowerment in the Neoliberal Age course that Dennis taught for a week. The students learned the Sabo Center for Democracy and Citizenship co-creative politics framework and skill set. Dennis taught them Public Narrative, One-to-One Relational Meetings, Power Mapping, and the Public Achievement process. These students will now be Public Achievement coaches at Mitchell High School. Along with teaching this class, Dennis also worked with staff and students connected to the Collaborative for Community Engagement Center. Twenty-seven Colorado College students connected to this center are now coaching Public Achievement in three area schools. Colorado College has made significant progress in adding Public Achievement coaches and sites since January 2018. This year, Colorado College will be hosting the annual Colorado statewide Public Achievement coaches meeting on March 2, 2019. Colorado College students and staff will be joined by students and staff from the University of Colorado Boulder, Colorado State University, and Denver University. Eleven Colorado College students participated in a class taught by Dennis Donovan in January. 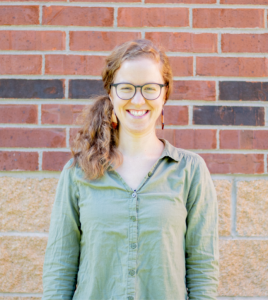 This post features Rachel Svanoe, Director of LEAD Fellows and Cedar Commons Coordinator. I have two primary roles in the Sabo Center, in addition to other Sabo Center initiatives that my work allows me to be a part of. First, I direct the LEAD Fellows program, a work-study/leadership program through which a cohort of about 30 Auggies work in community organizations and learn together about leadership and social change throughout the year. Second, I organize around the use of Cedar Commons, a campus-neighborhood collaboration space on the edge of our campus that Augsburg supports! To eat good food with people that I love! And to catch up about life. I grew up near Powderhorn Park in south Minneapolis. Not only is it my favorite place to go when I need to think or be refreshed, but so many important moments in my life have happened there! Someday I want to organize an event where people tell stories about all of the major life moments that have happened in that park. 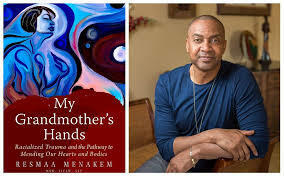 This year, I’ve been learning deeply from the work of Resmaa Menakem (“My Grandmother’s Hands”) and Rachel Martin (his mentee). Their work explores racialized trauma and the ways in which the bodies of those of us raised in this country carry the impacts of racism, whether we have a body of color that is targeted by it or a white body that is complicit in carrying it out. Resmaa and Rachel’s work provides a model for healing these deeply embedded patterns in our bodies and I’m hoping to bring this work to Augsburg, helping us to become a campus where everyone can be in more authentic relationship with each other with greater safety and less fear. Besides Powderhorn Park, I’ve really been enjoying St. Anthony Main and the Stone Arch Bridge lately. It’s a pretty magical place to walk around, in every season! What does community-based learning look like? Community-based learning is a form of experiential learning directly connects students with the broader community and neighborhoods of which Augsburg is a part. Individual students and whole classes connect to community organizations through various means, including field trips, guest speakers, research, service learning, and public impact projects. These deliberately chosen experiences are guided by principles of mutual benefit for students and the community, are designed collaboratively with campus and community partners, and are based in deep and ongoing relationships with individuals and community groups. All community-based learning requires students to engage in meaningful reflection on their experiences. A professor may plan a field trip for her course to a local organization or site so that students can experience first hand a context that might be referenced in class. Such a trip may offer opportunities to host discussions with local experts, understand an applied context, and to stimulate questions that may not otherwise occur to students in the classroom setting. Religion classes tour houses of worship of different faith traditions, with tours conducted by practitioners of those traditions, some of which are in the Cedar-Riverside Neighborhood nearby to campus. 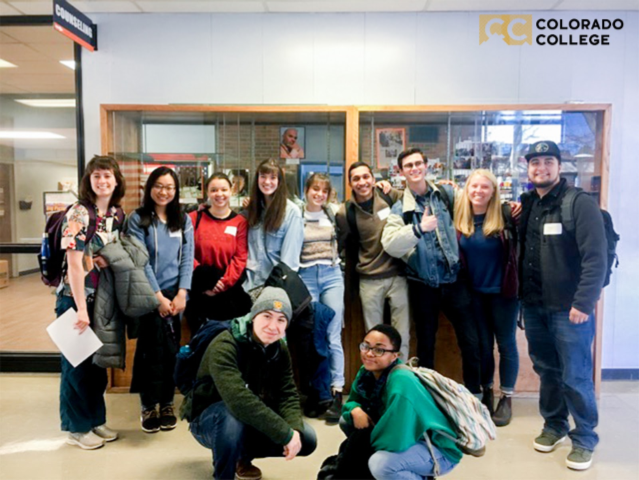 These visits are followed by in-class discussion and a comparative reflection paper that prompts students to reflect on the visit as well the connection between visit themes and their own experience. Students from a food science class visit a nearby beekeeping company who keep urban hives to learn about the science of honey production and about the economy of urban farming. Guests from the local community may visit a relevant class session to share their experience and insight and engage in discussion with students. An organizer from a local labor rights organization visits a history class focused on 20th-century American labor rights movements. Research that is conducted as a partnership between traditionally trained “experts” and members of the community for the benefit of both. A group of students in a business course collaborate closely with a local youth social enterprise to do market research and develop a marketing plan. While the social enterprise ends up with a functional marketing plan that they can now implement, the students have learned applied skills for research and developing an end-product for a customer’s use while building connections with a community-based organization with connections to Augsburg and significant local impact. Sometimes used interchangeably with community-based learning, service learning is a specific kind of learning activity in which students participate in and reflect on a service-oriented activity in the community. This may be a one-time “service project” experience, but more commonly involves ongoing involvement by the student in a community organization over the course of a semester (usually at least 20 hours). The activity is directly related to course content, and benefits the community. As part of the class, a student in an Social Work 100 class signs up to regularly serve meals to the after school program at Brian Coyle Community Center with the Campus Kitchen program. Public impact projects are sustained experiences that integrate meaningful public engagement that is mutually beneficial to students and the community. Instruction and reflection in a community context enriches course content, teaches civic responsibility, builds community capacity and relationships, and often connects to university-wide community engagement initiatives. Students from Design+Agency, Augsburg’s embedded design studio, create design solutions for a variety of local non-profits and civic projects. Interfaith Scholars collaborate with community members to put together monthly interfaith gatherings in the Cedar Commons space. Whether you are planning a field trip, guest speaker, research, service-learning, or a public impact project, there are certain elements and factors to consider and incorporate. All community-based learning, from activity to long-term project, requires careful planning, connection to course objectives, collaboration with the community partner to identify need, intended impact, and responsibilities, as well as opportunities for quality reflection. Think about all facets of impact. For example, if you are taking your students to a community space–what do they need to know about the space beforehand to be respectful of the people there and the space itself? When asking an individual to come speak with your class, is there a way for the class to thank the presenter? Ensure that the activity or shared work has mutually beneficial outcomes for your students and the community or organization. Especially when planning longer term projects or research in a community-based context, the outcomes of the work should have value beyond student learning, and the need and intended product should be identified in conversation with the community partner. Collaborate with the community partner–whether that is an organization, business, etc–as a co-creator of the course design, learning outcomes, and/or research goals. Engage based upon relationship. Build on existing university connections (there are many–be in touch with us in the Sabo Center to learn more! ), or use your own connections. For the sake of students, vet the organizations or people they may be working with. Establish a trusting relationship with a community group or organization before expecting a student to contribute time and energy. Be sure to establish clear parameters for students about the connection between the community-based learning and the course’s educational goals, objectives, and learning outcomes. Offer clear guidance about what is to be accomplished and learned, and emphasize the student’s responsibility and the reality of the impact their actions might have. Prep students for what to expect and what is expected of them in the context of a community-based learning opportunity, whether that is a field trip or a long term project. Engage in reflection with students before the activity or project–what do they expect to learn? What do they want to learn? What are some things they think they know from the jump? Have students attend a scheduled community-based learning orientation with the Sabo Center, or coordinate with the Sabo Center to bring someone to do an orientation with your class. Quality reflection is essential for effective community-based learning, and for all experiential learning. Build in opportunities for structured and varied forms of reflection, and communicate clearly about how this reflection will be evaluated. Want guidance for how to get started? 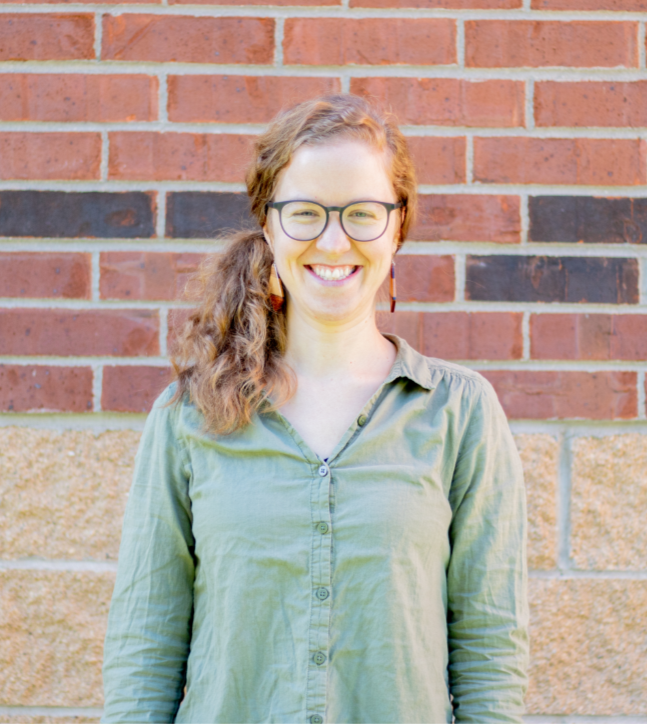 Contact Director of Community Engagement Mary Laurel True (truem@augsburg.edu).